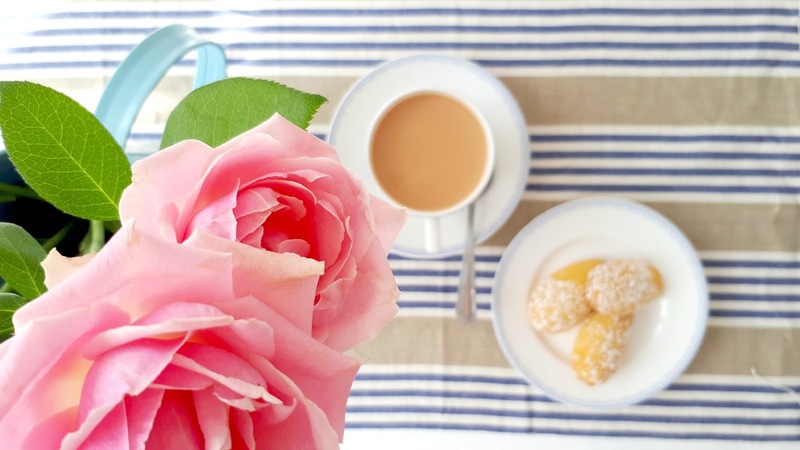 This week one of the last jobs I've done is pack our bags, ready for the day when our littlest one decides to make his arrival! I love this square style and was pleasantly surprised to see these bags come with a lifetime warranty! Its quite a smart little bag in navy and tan and is very lightweight which is always a bonus. 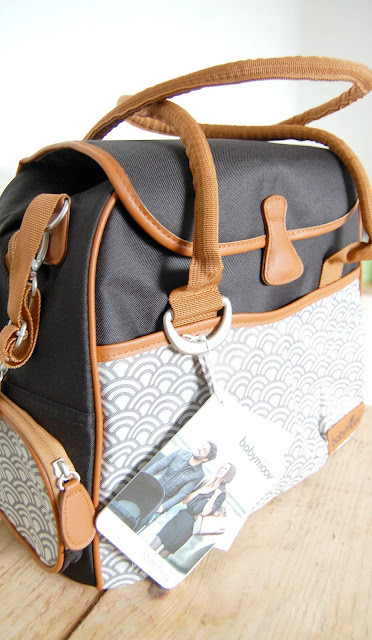 It comes with extras like a changing mat, clear pocket, insulated bottle bag and smaller zip bag. It also has a nice padded detachable shoulder strap and already has metal pram clips on top which is a great feature. The front flap has an easy magnetic close and inside there are two large pockets. I really like that there is a large pocket on the back with easy access and pockets on both sides for little bits like keys and dummies! New vests, hats, socks and mittens. We live right next the Hospital so really don't need to over-do it with packing as it'd be so easy to nip home if needed. Although I love children in bright colours, for me newborns have to be in white! 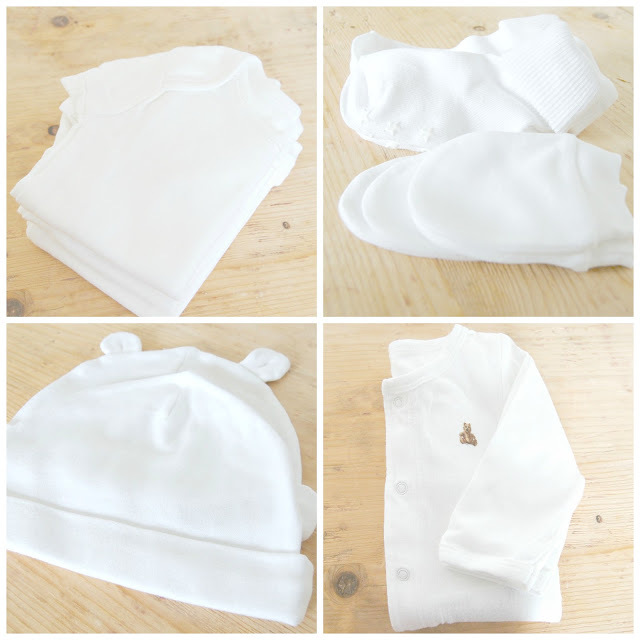 I picked up these lovely white baby bits from the Morrisons Nutmeg range, they are super soft and such great value. I also picked up some white newborn all in one's from their range. I'm hoping it will be his baby brothers too. 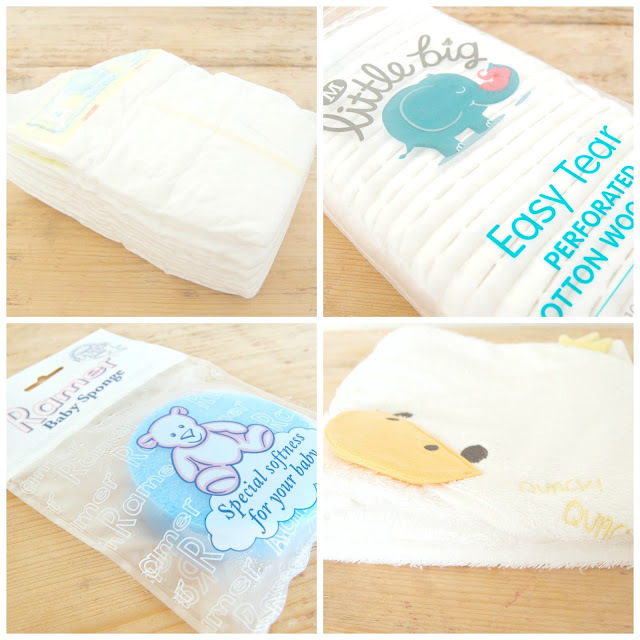 Pampers nappies, cotton wool, wash sponge and towel. This adorable duck towel is Nutmeg again. They make the most beautiful large soft muslins in these amazingly bright colours! They wash really well, becoming even softer and stay bright after multiple washes. There are endless uses for them and I'll definitely have more to say after the baby boy arrives about how much we'll be using them but for now I'll be packing several in the bag for changing, swaddling, wiping etc...! When it comes to newborn skin I really don't like using much besides a bit of nappy cream when needed; Babies don't need cleaning with soaps when they're tiny (They smell amazing already!) and it generally seems to do more harm than good! The little guy had very sensitive skin from being born which I discovered after using the wrong washing powder and certain baby bath products even though they were designed for newborn skin. even when his skin flared up this soothed it really well and kept his skin soft. I have mentioned before how much we love coconut oil on here as it is such great stuff! 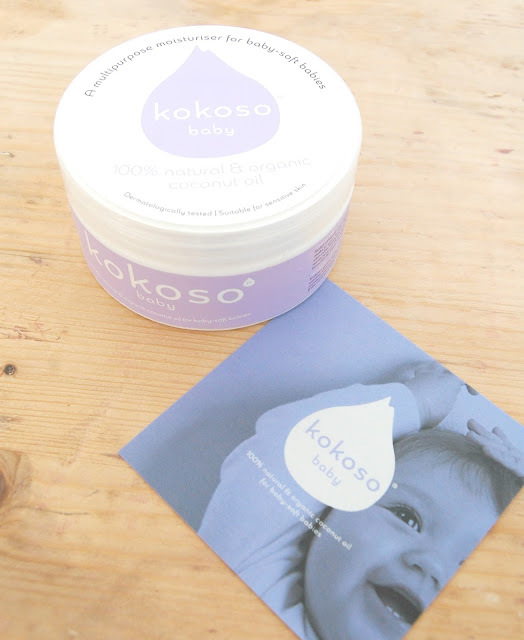 I had no idea there was a baby brand of organic coconut oil until I discovered Kokoso Baby recently. I have already tested it out a little and it is of a gorgeous silky quality and feels lovely on your skin. It is completely natural and Organic without any preservatives or perfumes. 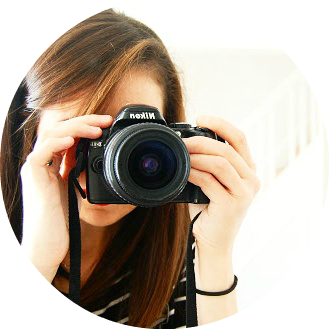 I can't wait to get more use out of it on the baby and will be sharing more on the results. I am packing it in the bag for both of us! 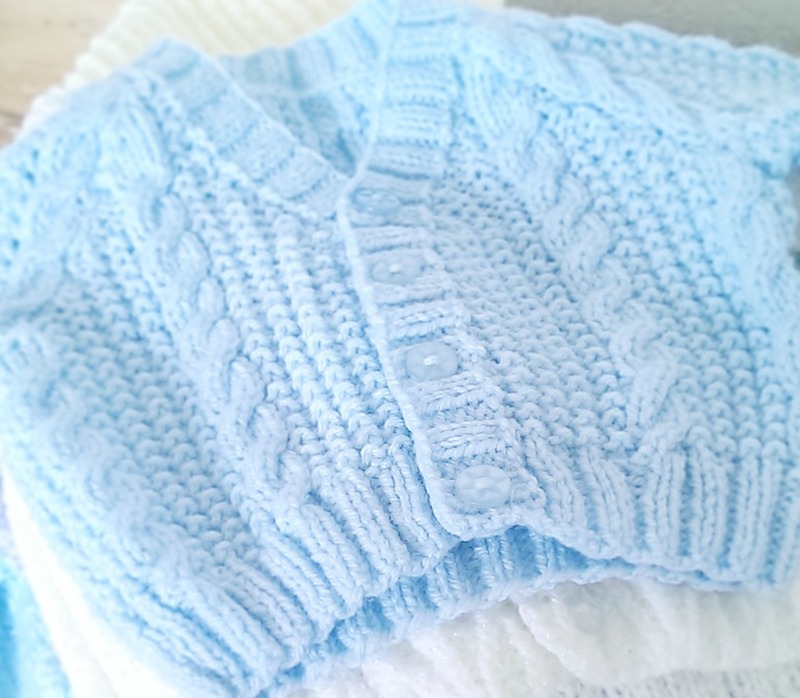 We have so many gorgeous knitted cardigans made by Grandma's and Great Grandma but I think I've settled on this little blue one for coming home. The car seat is ready and every blanket is washed and ironed. The last nine months have gone by so quickly, I can't believe there'll be another tiny body in these clothes again! It's exciting and scary all at once, but I can't wait. 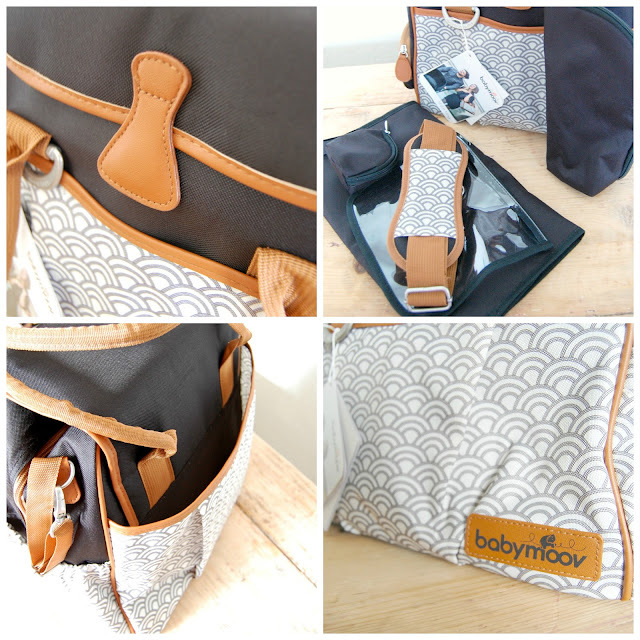 Do you have any must haves for the baby bag? N.B: Faye&Lou and Kokoso Baby kindly sent us the above products however all opinions are entirely my own.